My first Audi was a phantom black 2011 Audi S4 with a manual gearbox and a V8 under the hood. In 2013, I traded the S4 for a 2014 Audi RS5 Cabriolet, also with a V8 (this time 450 hp), but with a dual-clutch transmission and soft top (I still miss that S4 stick at times). With just those two Audis defining my relationship with the German automaker, I was surprised when, in late 2017, Audi Sport reached out to me to participate in a track day featuring three of their newest Audi Sport models. I was skeptical – wondering what might be the catch – but it turns out there was no catch. They were bringing the all-new RS3, the revamped TT RS, and the incredible new R8 V10 plus to a pair of racetracks in the U.S. and inviting customers to come take them for a spin. 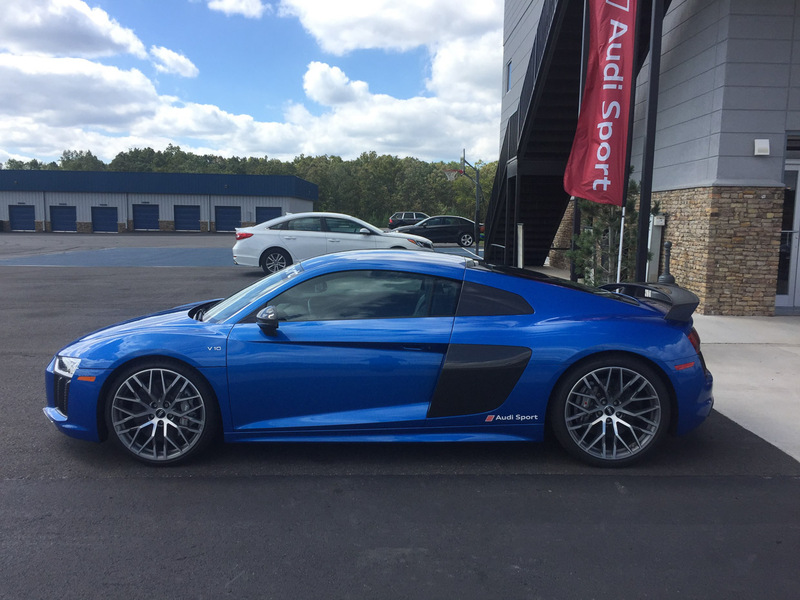 Officially referred to as the “Audi Sport Performance Drive,” I naturally jumped at the opportunity to participate. 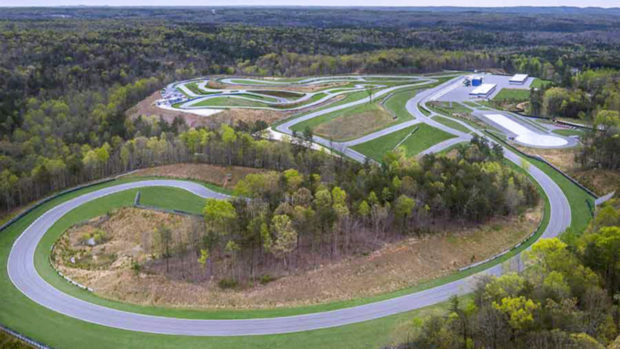 I could choose from either Atlanta Motorsports Park in Georgia or Autobahn Country Club in Joliet, Illinois. Due to scheduling issues, I chose to travel from Wisconsin to the Atlanta Motorsports Park. It turned out to be a great choice for several reasons: (1) the weather was perfect for driving; (2) the 2-mile road course is great fun and it’s hard to get yourself in trouble if you’re a weekend racer like I am; and (3) I was able to have a great southern breakfast of biscuits and sausage before I made my way out to the track. Just to be clear, all the driving and events of the day were complimentary, but I had to find my way to Atlanta and cover costs for a hotel and meals. 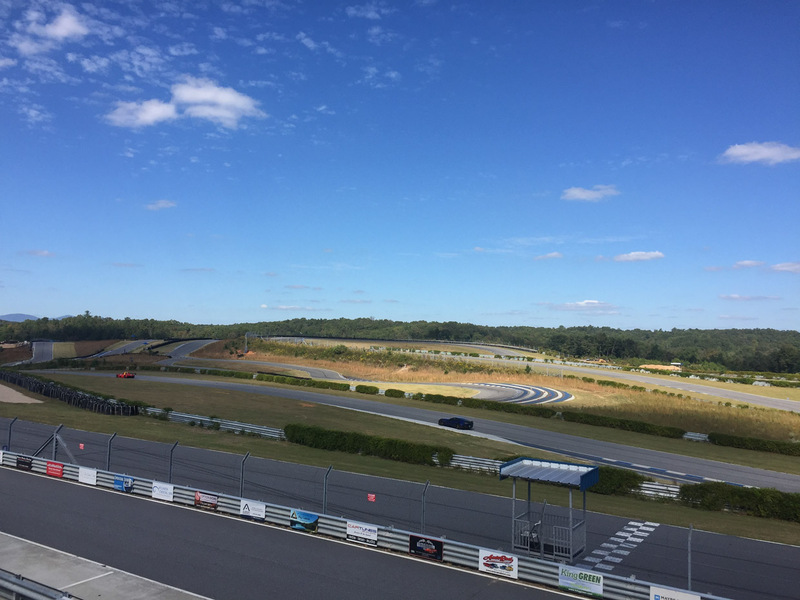 When I arrived at the Motorsports Park, I was greeted by an Audi Sport concierge, who offered coffee, non-alcoholic beverages, snacks, and a full lunch. As it turns out, the Audi Sport Performance Drive consists of two professional drivers, three Audi vehicles, and just two guests. That’s right: it was just me and one other guest who had the entire track and three Audis at our disposal. The only caveat was that time would only allow each of us to drive two of the three vehicles. 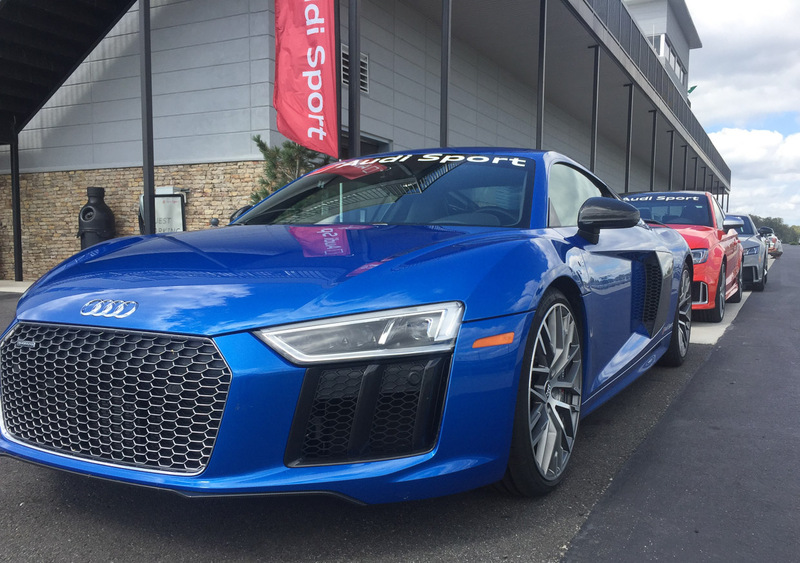 Of course, one of the two cars I chose to drive was the star of the show: the 620 horsepower, mid-engine V10-powered R8 V10 plus. 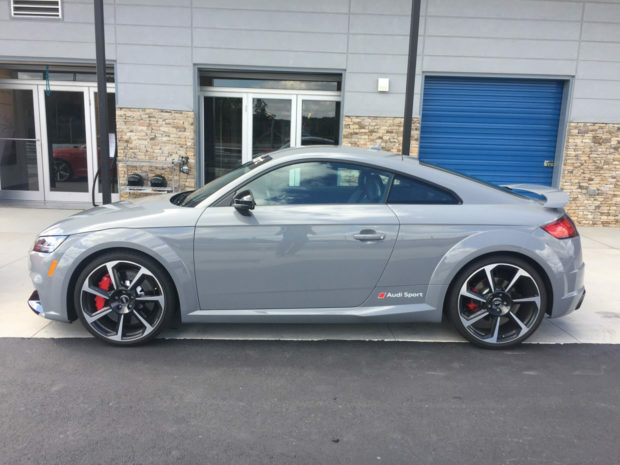 The second choice was tougher – although both the RS3 and the TT RS share the same drivetrain based on a 400 hp, five-cylinder engine – the TT RS is a bit more nimble and quicker around a track, partially due to its lighter weight. But in the end, I like the looks of the RS3 over the TT RS and, with their very similar performance characteristics, I chose to go with the RS3. The session began with an overview of driver safety, basic track-driving skills, and a look at the track layout and what to expect. Following the briefing, I hopped into the passenger side of the RS3 for a few laps with my assigned pro driver behind the wheel. These hot laps were designed to further familiarize the guests with the track and learn the racing line while also learning a bit more about the cars. We took a couple quick laps, then it was my turn to get behind the wheel and take the RS3 onto the track. As I mentioned, it was just me and the second Audi guest on the track, so there were no concerns about passing or even coming up behind another car. The track was ours to enjoy. 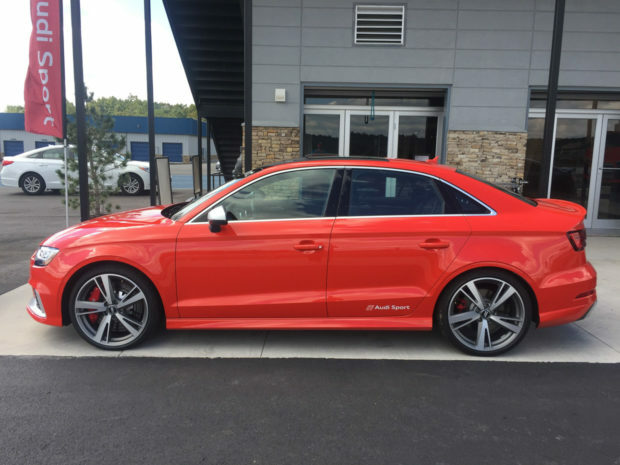 With regards to driving the RS3, I won’t try to provide a review of either car I drove, since my track time was limited, and I didn’t spend any other time in either car except on the track. I will say that the RS3 was great fun and I can see why it’s been praised as one of the top “hot hatch” cars available today (I know it’s not a hatchback – Audi refuses to bring the Sportback to the U.S. for some reason). Audi allowed us to drive the cars to probably 80% of their potential (more so in the slower portions of the track and on straights, less so in the big carousel). I was behind the wheel of the RS3 for about six laps, or maybe about 20 minutes. All the while the pro driver provided driving tips and did a bit of soft-selling on the RS3. When I pulled off the track, it was time to jump into the passenger seat of the R8 V10 plus for a couple of laps with the pro driver behind the wheel. As much as I liked the RS3, the R8 was simply in another class. The balanced mid-engine supercar with 610 horsepower driving all four wheels, it was obvious I was behind the wheel of a world-class sportscar. Again, I was allowed to do about a half-dozen laps of the track (a bit more quickly this time). The pro driver just requested that I not take the carousel at tire-squealing speeds, since they were using the same three cars for an entire week of driving. The R8 V10 was a joy to drive, instilling great confidence and never feeling like I could push it too far or get into trouble. Sadly, I had to bring the car back into the pit lane and say goodbye to my morning of driving. There were two other drivers who had just arrived to do the same thing that afternoon. 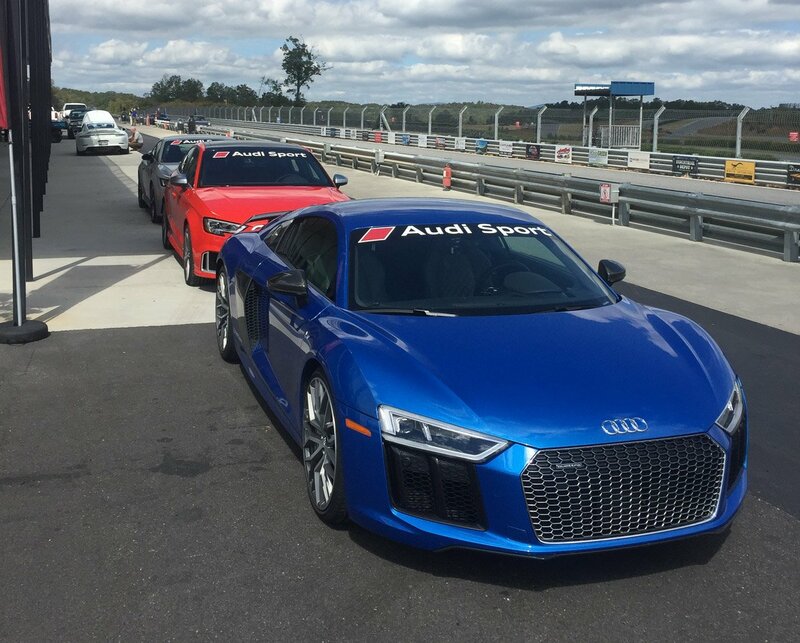 Before I left, Audi gave me a bit of Audi Sport swag and offered lunch on the second floor balcony of the Atlanta Motorsports Park, where I watched the next set of drivers take to the track. I don’t know if Audi increases sales through its performance driving days, but it was a great way to experience a portion of Audi Sport’s lineup and actually get to push the cars hard, something one can rarely do on the public roadways. As someone who has a genuine interest in a small, nimble car like the RS3, it gave me a great chance to experience the vehicle in a way that wouldn’t be possible in a test drive. At the end of the trip, I was delighted to have participated and even went so far as to spec out an RS3 on the Audi USA website. Truth be told, if they had the Sportback available in the U.S., I might’ve just pulled the trigger.